That is why, despite feeling like a broken record, repeating - "dirty clothes in the hamper, not on the floor" - "stop leaving your socks all over the house or I'll throw them away and one day you will have no socks left" - "how hard is it to put your cereal bowl inside the sink? I don't even expect you to wash it!" - "put away your clean, folded clothes nicely. if I want to just chuck and crumple them inside the wardrobe, I could have done it myself, from where i stand, i don't even have to go into your room." Yes. Despite all that, I still love them like crazy. And oh! one more - "why would you put empty containers inside the fridge? you expect them to walk out to the rubbish bin themselves? or for the water bottle to refill itself? geeez!" Haha!! Tell me I'm not alone! Tell me i'm not insane for laughing when sometime I wanna cry. LOL. 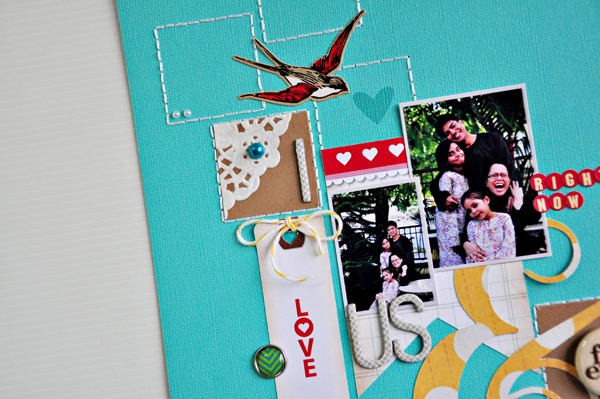 My first layout for Chic Tags - and I'm already in love. So in love with the tags. High quality and not flimsy at all, they're just so awesome to work with. Look at that 'forever' button. Yum! I'm gonna need more than one pack of the Valentine Flair Buttons. I promise you will see them wayyyyyy after Valentine is over. LOL. Very useable and versatile. If you're following me on Instagram - you'll know that I've been working on my Project Life. A post coming soon, I promise! 1am and I'm laughing- thank you. Those photos of you and your family are gorgeous! That cake is cruel when I have started Weightwatchers this week. You are so not alone with the saying the same things over again. I keep threatening to record myself! What a perfect sentiment. I just love this layout and all of the fantastic colors and thoughtful little details. You knocked this one out of the park! Love your layout! The stitching and color combo is great! Can you please send me a cake like this to Germany? It looks so delicious. i say everyone of those things to my kids and my hubby too! 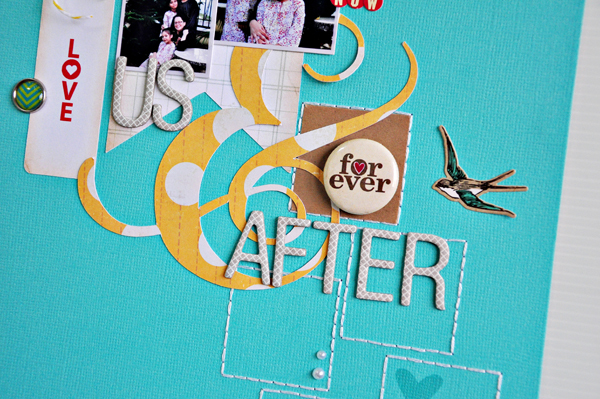 Love the layout all that yummy stitching! Sasha!, è stupenda la tua layout!! Scusa la domanda ma sei di origine italiana? love love love your layout! love your layout and grid pattern you made. You are too cute!! Sounds like me on most days. I have two boys. One is only 4 and I am teaching him how to do things my way. Lol. Your layout is beautiful. I saw it the other day on the Chic Tags blog and my jaw dropped. That ampersand is awesome and I might have to get it. That layout is just WOW!!! the colors, the design, perfection!! I just bought that shape, I love what you did w/ it. Thanks for the inspiration!!! Not alone at all. Gorgeous layout! What a fabulous page. And yes, sometimes laughing is all you can do when you feel like crying! If you're insane, well, then I am too! Love you, love you, love you, girl!!! That cake looks amazing! Yummy!!! beautiful page girl..as always!! I say the exact same thing to my kids. I'm always rushing in the morning and after i take them to school, I feel bad because our short time together was full of getting ticked at them, lol! Beautiful page. I love the stitched boxes going diagonal across the page. Totally laughing on the beginning of your post because YES, I say the same things! I've finally told them if they don't pick up their socks then they can wear them dirty! It's helped "a little" :)--love this page--FANTASTIC as always! yes, I do follow you and enjoy visually the food you eat! lol! You are definitely not alone Sasha. Those words come out of my mouth daily!! Gorgeous page. 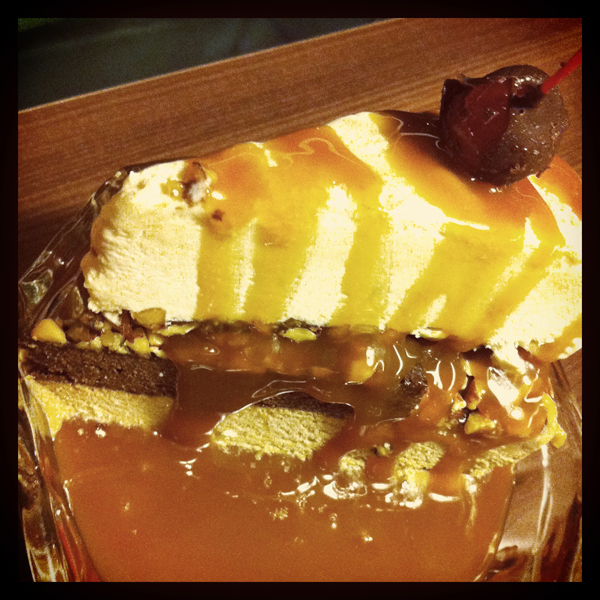 And that cake looks so naughty...but so, so good! lovely page, such bright colors! welcome to the CP club :) I'm beyond excited to be part of the time, can't wait to "know ya" ! your layout is soooo beautiful!! of course you aren't alone. same voices in my house to. You are obviously not alone on this calling..hahaha! Keeping up a household is as hard as keeping your mind sometimes...hang in there! 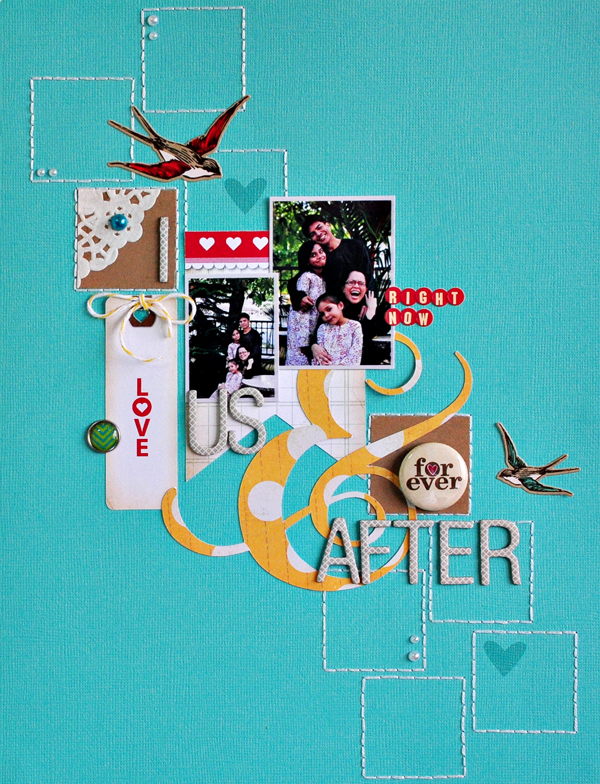 Love your new layouts...I LOVE the bright and bold turquoise and yellow in this one!